Be Afraid, Be Very Afraid is the message in this spooky Halloween tableware collection. Skulls, spiders, and black birds dominate the print. 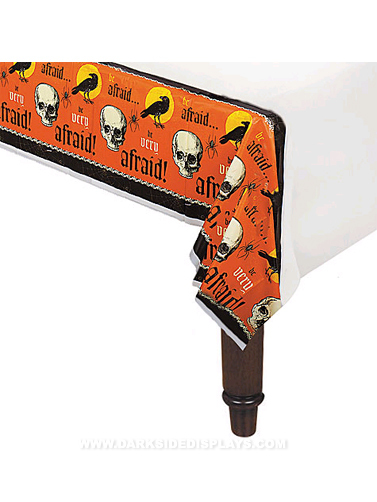 Be Afraid Plastic Table Cover is designed for rectangular tables and measures 54"W x 108"L.